The City of Victor extends a warm welcome to AmeriCorps VISTA Volunteer Zachary Rehbein-Jones. Zach began his year-long term of service with the City on March 13th, 2017 and will be concentrating on economic development initiatives in partnership with the Victor Main Street Program and the Victor DREAM Commission. Zach studied economics and sociology at the University of Wisconsin and is from Milwaukee, Wisconsin. Welcome to Victor Zach!!! In the photo, Teller County Commissioners recognize Zachary Rehbein-Jones for his dedication to community service for Mayor and County Recognition Day, April 4th, 2017. 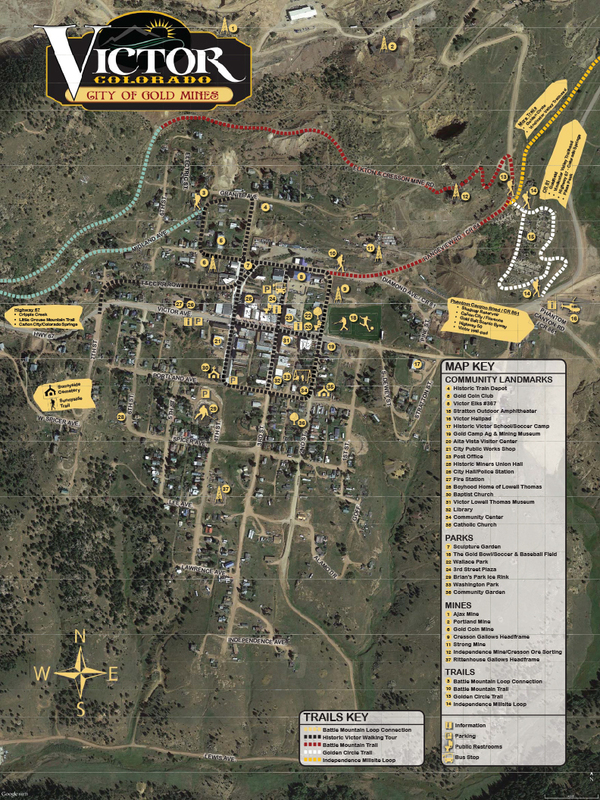 Victor and Cripple Creek Receive GOCO Funding for Parks Projects! The fire on Sunday just South of Victor appears to have been started by a person dumping hot ashes on the City’s slash pile. That area is NOT a dump ground. The City makes mulch from that pile of tree limbs that can be used for landscaping purposes. The City thanks its fine volunteer department and all of our neighboring fire departments, including Cripple Creek, Four Mile, Divide, NETCO, US Forest Service and Mt. Mutual. This fire could have had dire consequences but for the quick response from all these agencies. The City and Teller County are still under fire restrictions. Please heed these warnings! The DREAM Commission is looking for interested volunteers like you to fill an open seat. DREAM/Mainstreet info can be found on the City’s webpage at http://cityofvictor.com/dream.html . Victor DREAM fuels the Main Street program which serves the purpose of enhancing Victor’s downtown business district aesthetically, socially, and economically by holding civic engagement, residents’ pride, historic preservation, and small business and entrepreneurship as its core priorities. If you are interested, please submit a letter of interest to Becky Frank no later than April 1, 2017 at bfrank@cityofvictor.com.